: The bubbles are out of control and you must shoot them down with your arrow launcher. Destroy the bubbles before they destroy you! Shoot bubbles to reduce their size. Once all bubbles are destroyed, the area is cleared. Only one arrow may be fired at a time. Watch out for the magic bubble, which when shot will provide a random bonus Dynamite: Causes all bubbles to pop. Clock: Resets the level timer. Bonus: Collect for 500 bonus points. 1up: An extra life. 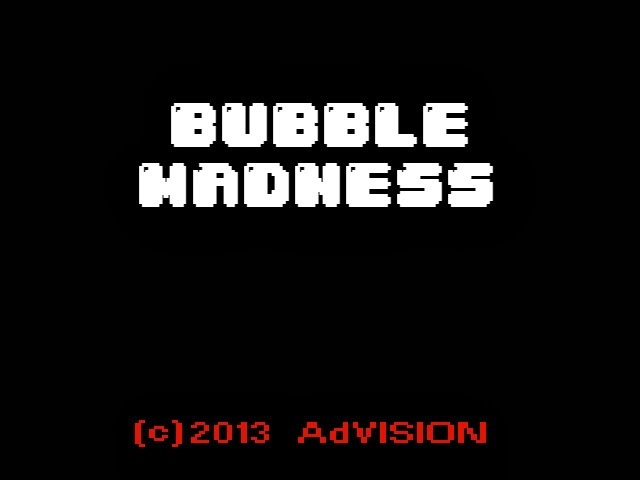 Scoring: Big Bubble - 10 Points Medium Bubble - 20 Points Small Bubble - 50 Points Big Bounder - 25 Points Small Bounder - 40 Points CHALLENGE MODE An endless wave of bubbles. Can you reach a high score? CONTROLS Use the ARROW keys to move. Press SPACE to fire an arrow.